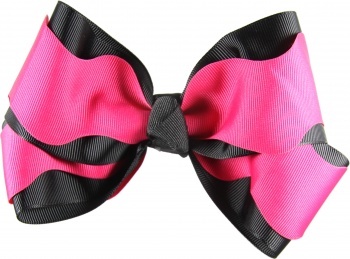 This is a double layer bow that has a hot pink scalloped grosgrain ribbon on top of a 2 1/4" black grosgrain ribbon. Wrapped together with the two layers on top of each other and wrapped in the center with a black French knot. Hot pink and black make a great combination.